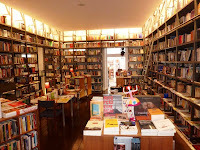 Teresa said: "This wonderful bookshop is situated in the North of Portugal, in a town named Braga, the archbishop’s city, known by its high religious mentality. 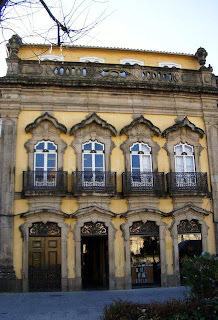 Walking through the historical center of the city, we just bump into this magnificent and cosy house from the XVIII century, named Casa Rolão, where we can run through some book’s pages, where we can have lunch or just relax in the beautiful interior garden, drinking some coffee or tea and reading the book you just bought! I can say that my favourite place there is the children’s corner! A very cheerful and comfortable room enlightened by the two big windows that sometimes are open to the exterior garden. A very silent and bright place, indeed! They always have cultural events like art exhibitions, book’s presentations, workshops and the special days where kids and their parents have the possibility to hear a story in this enchanted place! We can also buy some Portuguese crafts and other creative items." Livraria Centesima Pagina translates to bookstore of page 100 and it opened to the public in November 1999. 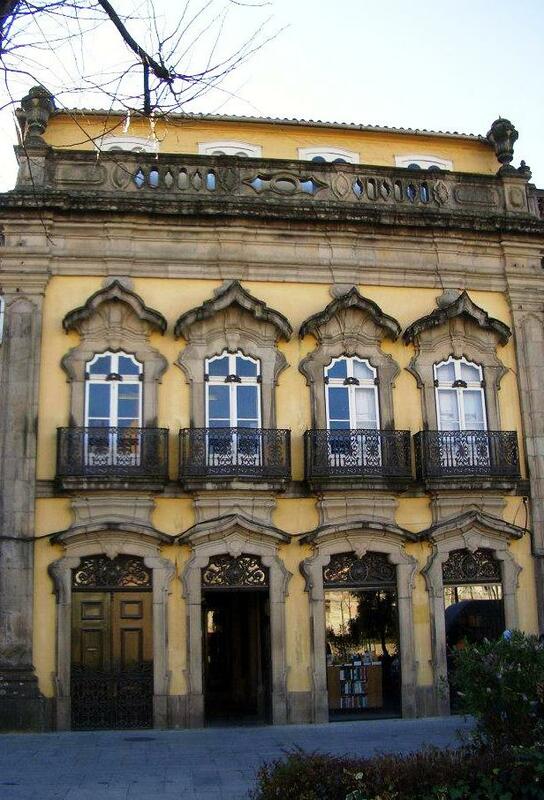 It was primarily located near the Faculty of Philosophy only to find its permanent residence in the beautiful 18th century building called Casa Rolão in the heart of the city of Braga in 2005. Livraria Centesima Pagina is an independent bookstore which mostly carries books in Portuguese but also in English, Spanish and French. The English books section contains some 300 books covering everything from art, literature, comics, social sciences, to children books, English learning, or Portuguese authors. It often hosts exhibitions, book presentations, debates, workshops, etc. It is accompanied by a cafe and a garden where you can relax with your favorite book in your hands. This bookshop is more than that. It is the gentle, elegant independent way of being an informed eclectic voice and space in a society easily happy with same-ism. A pleasure to visit to browse, eat lunch or a snack (very good cakes:) see exhibitions- recently a fabulous one of masks or listen to local or visiting writers talk about their work. Cosmopolitan, friendly and housed in a beautiful palace. You will always find something for you!